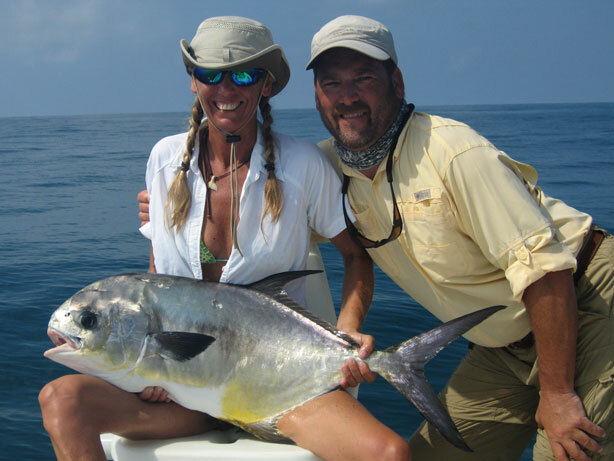 A Florida fishing charter with Capt jeff Hagaman is about more than catching fish. 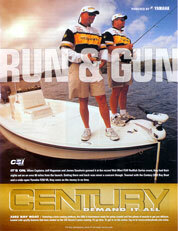 It is about enjoying a day on the water and making memories. 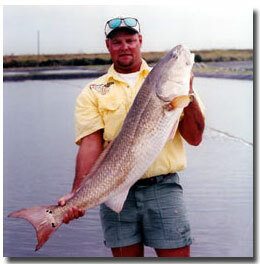 Yes, catching fish is important, but often times it is how you caught them and with whom that make all the difference. 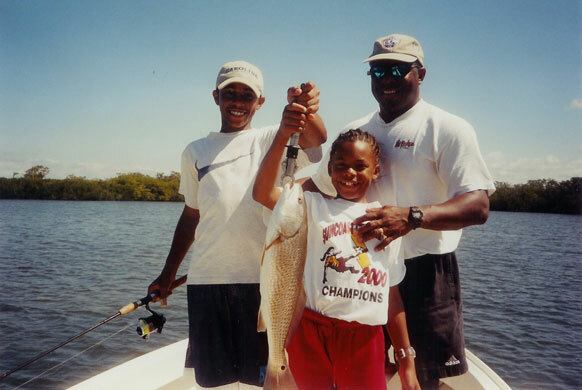 A son's first snook or tarpon; a monster Goliath grouper; a tarpon attacked by a fourteen foot hammerhead shark; a fishing guide who went the extra mile to make your day; these are the thing of memories. 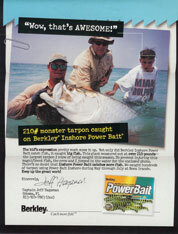 Capt Jeff's courteous and professional service has been recognized by his clients, sponsors, and industry leaders. He loves his chosen profession and it shows. Most of all Captain Jeff is just fun to fish with! His friendly demeanor and easygoing style make everyone feel right at home. 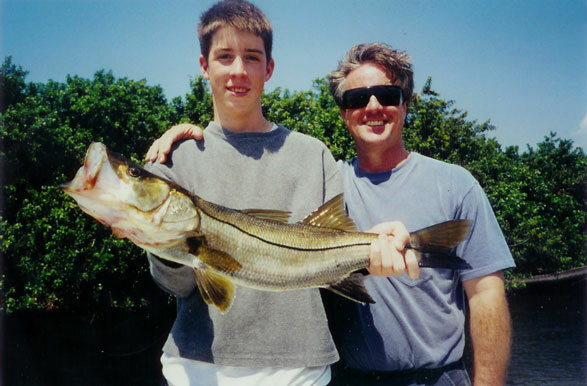 Whether you’re a novice or an experienced angler, he enjoys sharing his fishing experiences with people of all ages and skill levels. The West Coast of Florida abounds in marine life. On a flats or backcountry fishing charter we will often see dolphins, sea turtles, manatees, pelicans, bald eagles, ibis, rosette spoonbills, ospreys, egrets, herons, and countless other seabirds that make this estuary environment their home. 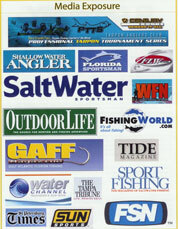 The Tampa Chapter of the Coastal Conservation Association wishes to thank you for your work to make the CCA All-Release Tournament such a great success. Through you efforts and those of your sponsors, Berkley, Fenwick, and Abu Garcia, you made our tournament tackle box and fund raising raffle the best in our 15 years. Our fishermen and women really enjoyed the demonstrations of the new Berkley, Fenwick, and Abu Garcia products that you set up in your display. We also want to thank you for setting up and managing our fund raising raffle. Our tournament participants said it was the best raffle to date. Thanks again Jeff for a great job . We look forward to working with you again. “One of the big problems was finding really big adult reds as our brood stock,” Halstead said. 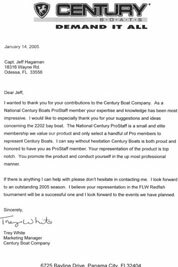 Captain Jeff Hagaman found a bunch of fish for us near St. Petersburg and that has become our source for the fish we are stocking now”. 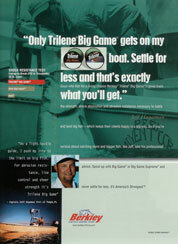 Captain Jeff's media exposure has been extensive. 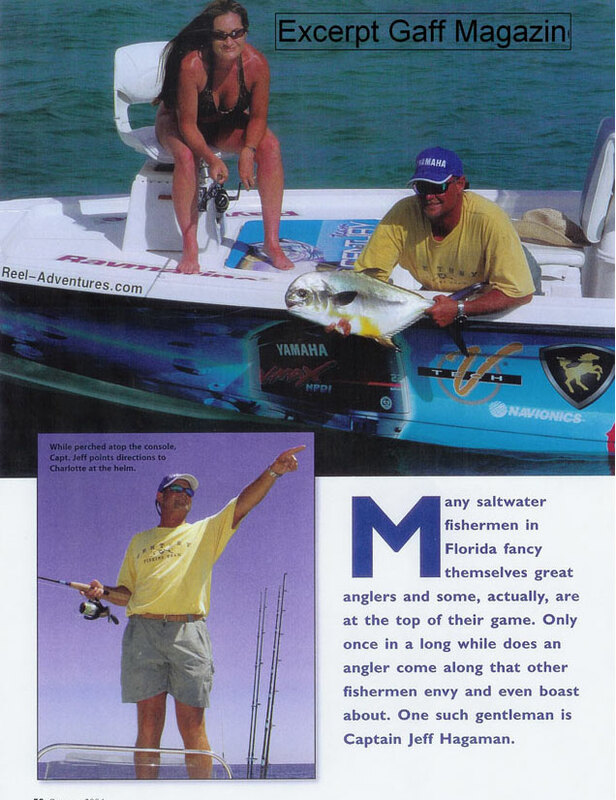 He has appeared in many articles in national and regional fishing magazines including Florida Sportsman, Saltwater Sportsman, Sports Fishing, North American Fisherman, Shallow Water Angler, Gaff Magazine, and Tide. 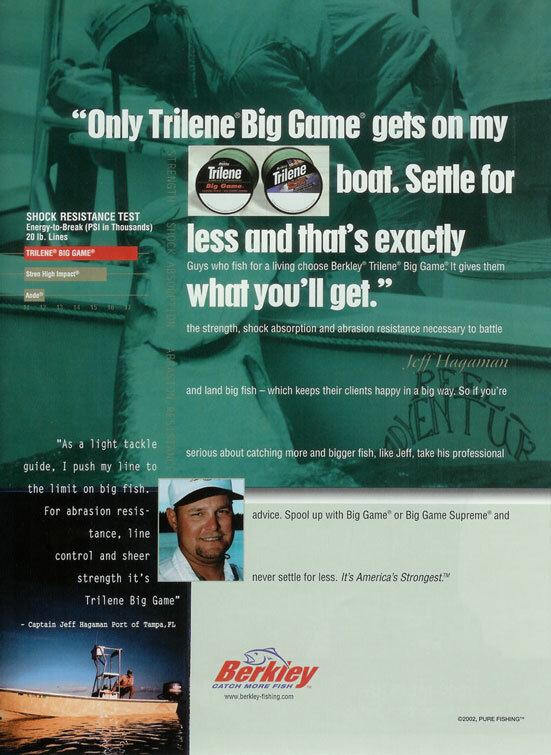 He has been featured in advertisements and catalogs for his sponsor including Berkley Fishing Tackle, Century Boats, and Reel Time Productions. 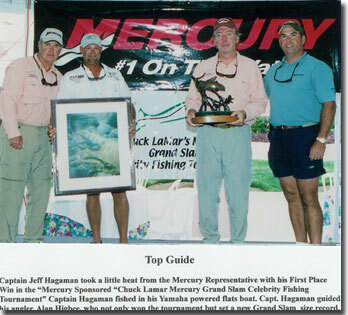 Capt Jeff has gained further recognition through his tournament wins, conservation work, fishing skills, and professionalism. He appears 4 times a week on Foxsports' “Chevy Florida Fishing Report” and has appeared on ESPN's North American Outdoors dozens of times. Capt. 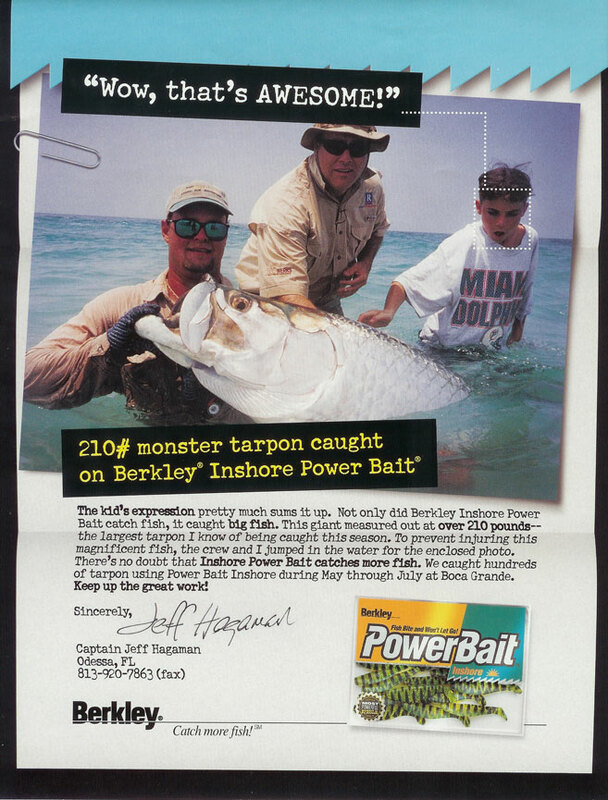 Jeff Co-stars in the Outdoor Channel's “Tarpon of Boca “,which is now in its second season.